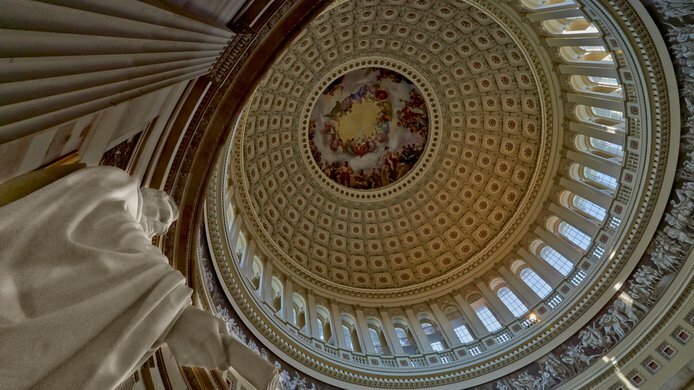 In April 2019 Sheldon Whitehouse (D-RI) and Brian Schatz (D-HI) reintroduced the American Opportunity Carbon Fee Act, with new co-sponsors Martin Heinrich (D-NM) and Kirsten Gillibrand (D-NY). This issue brief focuses on projecting how domestic energy-related emissions of carbon dioxide would respond to the proposed act, which would levy a fee on US greenhouse gas (GHG) emissions. Under the American Opportunity Carbon Fee Act, emissions are projected to fall substantially in the first year of the policy in 2020—25 percent relative to the baseline level of emissions—and are projected to continue to decline as the carbon fee rises over time. In 2025, emissions are projected to be 3.29 billion metric tons, a 45 percent reduction relative to 2005 levels, substantially surpassing the 26-28 percent Paris Agreement target. 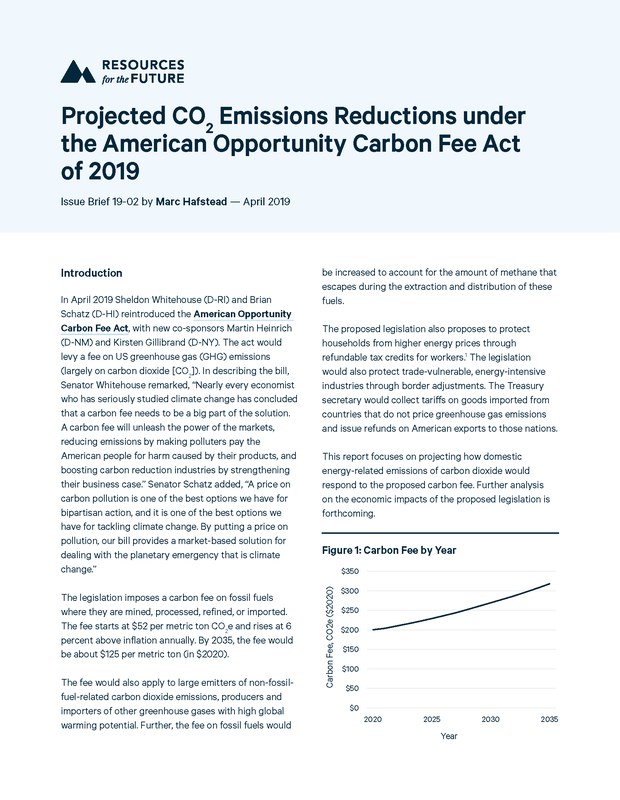 Revenues from the fee on energy-related carbon dioxide emissions are projected to increase over time as the increasing fee offsets declining emissions. 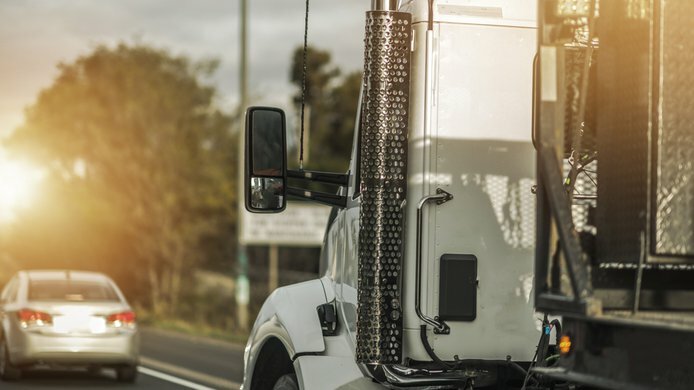 In the first year of the policy, the revenues are projected to be approximately $200 billion; over the first 10 years, revenues are projected to be about $2.3 trillion.